That makes me think of a nursery rhyme... whatever--Happy Summer, reader-friends! It's our third full day of summer break over here, and we are loving it. Lying around the pool, sleeping in... What??? No way, I'm going nutso wrapping up all the final bits for the release of Dragonfly next week. Did I say SQUEE today? 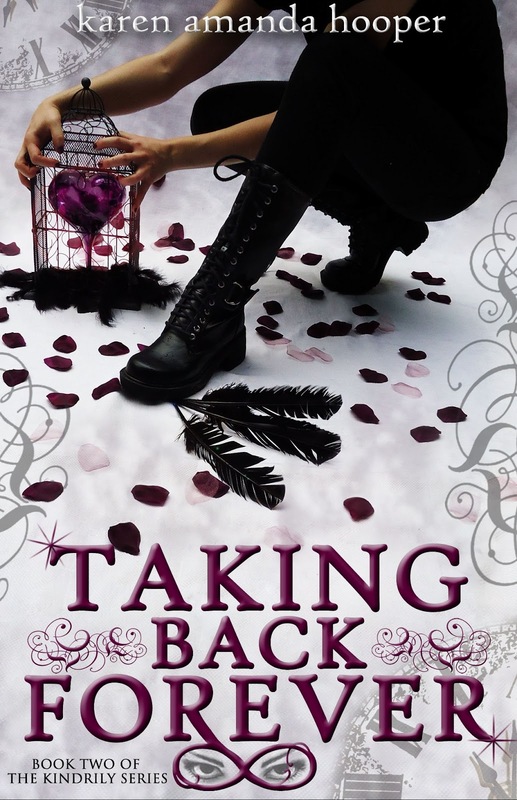 But today is very special because it's the Happy Book Birthday for fellow Indelible and YA Confidante Karen Hooper whose new book Taking Back Forever releases today! 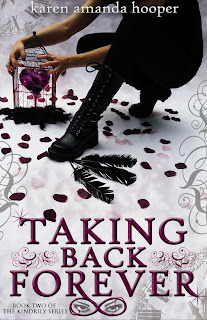 Taking Back Forever is the exciting sequel to her book Grasping at Eternity, which I read about a month ago and LOVED. I'm reading TBF right now, and it's just as awesome. Maryah’s power is Harmony’s best hope of finding her kidnapped soul mate, Gregory. But Harmony isn’t big on asking anyone for help, and she’s tired of waiting, so she’s taking matters into her own hands. Heaven help anyone who stands in her way. And visit Karen's website (link) where she's having a Huge Party with prizes and giveaways. Hooray for Karen! The Truth About Letting Go is still only $1.99! And have a super book-filled weekend, reader- and writer-friends! What a gorgeous cover- the purple is just amazing. A summer break would be awesome. If you want a shoutout next week, email me your info. :) Congrats on the new book! No summer breaks here. : ) Enjoy yours! Suzanne--Here's hoping for a little breather by the end of July!